I know some people are into matchy matchy closets—for example all wood hangers. And yes, they look beautiful and I hear you can get a steal on wood hangers at IKEA. 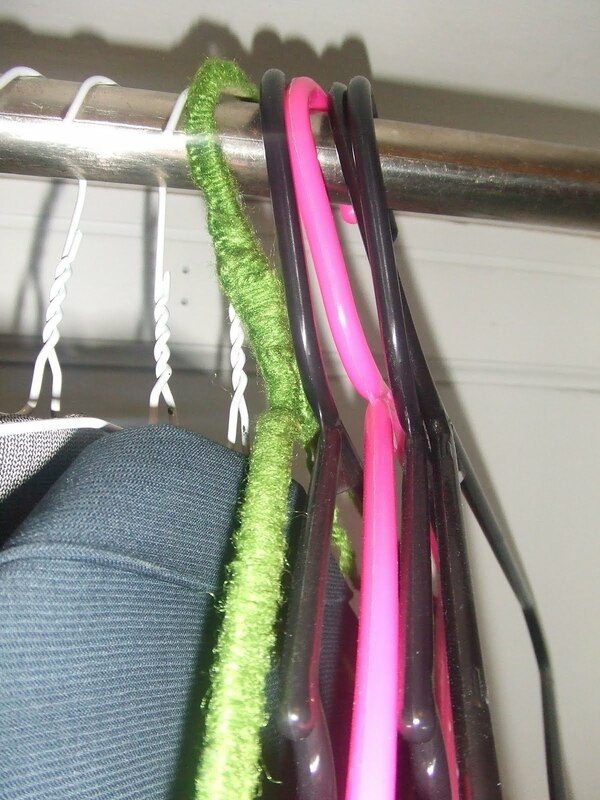 But, my favorite hangers are by far my yarn hangers courtesy of my Grandpa Tom. That’s right—years ago; my Grandpa Tom went into a nursing home with memory loss and did eventually pass away from heart complications and Alzheimer’s disease (HE IS MISSED). 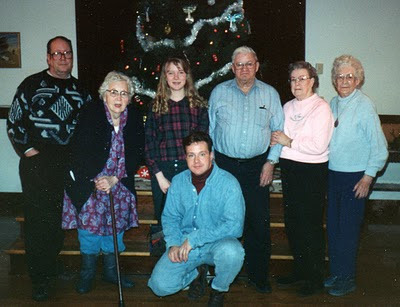 I have so many fond memories of my Grandpa! I could go on and on…. One thing Grandpa loved to do was keep busy. He loved cross words, coffee, checkers, bike rides, and making hangers. Grandpa Tom was a tough farmer that LOVED this craft. 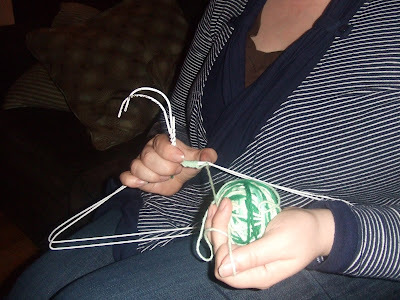 You see yarn hangers are simple, easy, affordable, and really require little to no thinking, but keep your hands and head active. They truly are super simple. I have a stockpile of these hangers and I prefer them over the plastic hangers. Mom has a stockpile and my sister has a stockpile. They’re my fam’s fave! Grandpa Tom's hanger is green and in the middle! 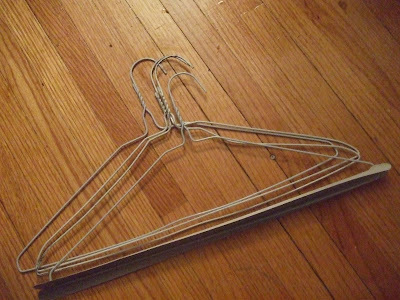 All you need is two wire hangers (the dry cleaner kind work great), but make sure that they are the same size and fit together well. These hangers from my little city dry cleaner work great! Next you need yarn. And crash your yarn stash, because a little goes a long way. 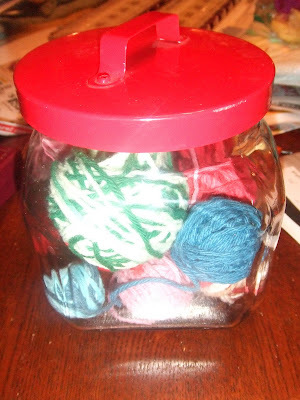 I CRASHED THIS YARN STASH! 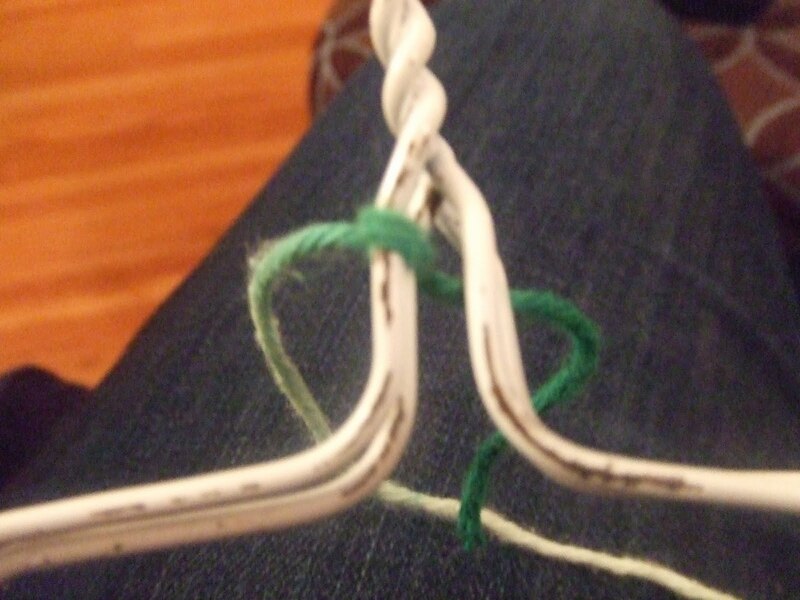 To make these hangers, simply put the two hangers together and attach by tying a knot with your yarn at the bottom of the hook. 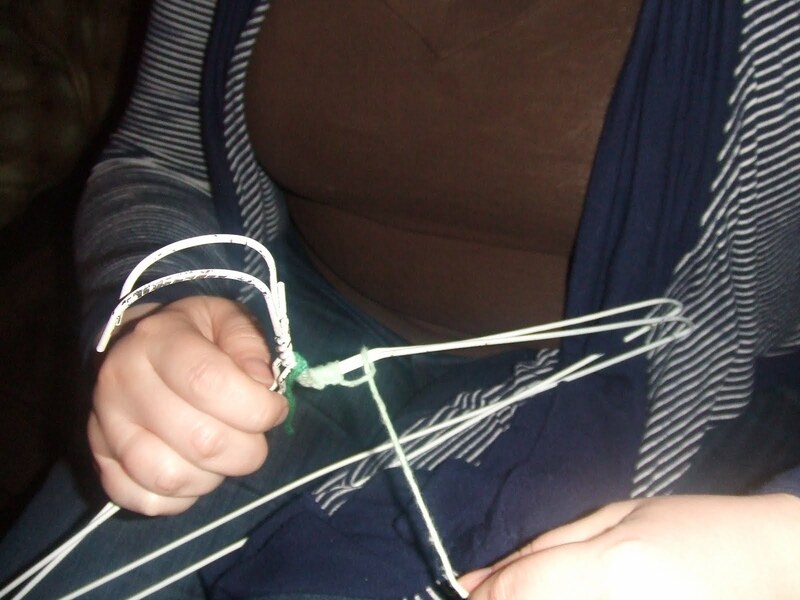 The hangers are secured together by the yarn and a knot. 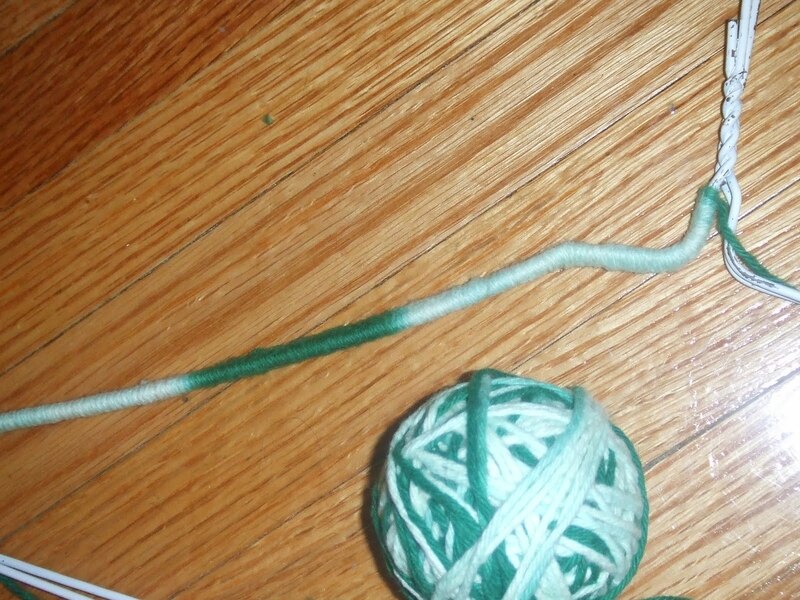 Then make a loop with your yarn, wrapping around the hanger, and pull the yarn through (notice the photos). You will want to end at the end of the hook (hanger end) and tie another knot. Voila—that’s it. The best part of these hangers is you are re-using a hanger that is easily discarded and they work great for slippery fabric. 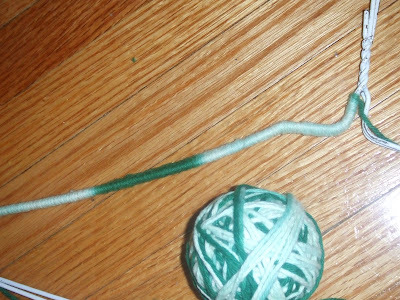 The yarn=no slip! Thanks Gramps for the FAB CRAFT!